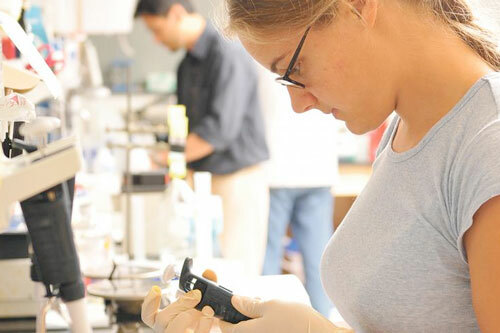 Interdisciplinary in nature, the Biochemistry & Biophysics (BCBP) graduate program includes a broad grounding in the mathematical, chemical, physical, and biological sciences. A groundbreaking new program designed for students interested in pursuing a medical degree at the Icahn School of Medicine at Mount Sinai. Undergrads are matched with a Mount Sinai faculty mentor and gain hands-on experience in a biomedical research laboratory. When people from different disciplines put their heads together, it can result in enhanced discovery.